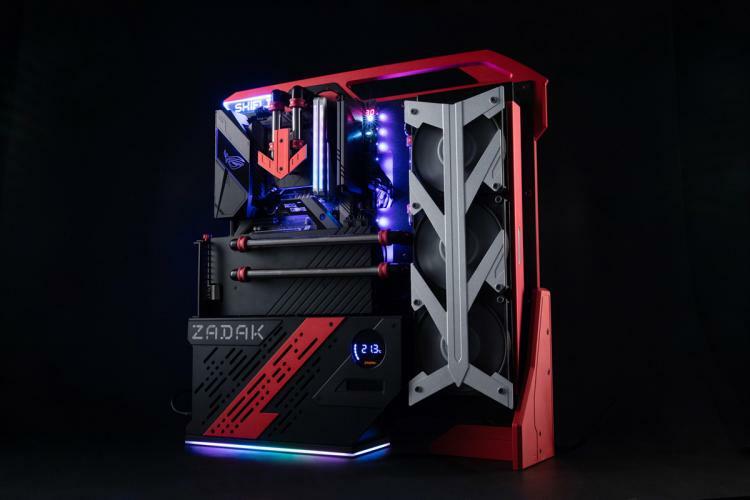 ZADAK outs its latest watercooled PC inspired by the MOAB II watercooled PC released in mid-2018 – the SHIELD II Watercooled PC. The ZADAK SHIELD II is the thinnest watercooled PC which can be wall-mounted. It features a patented water distribution plate and intelligent design with RGB lighting. It also sports a capacitive strip and digital display. 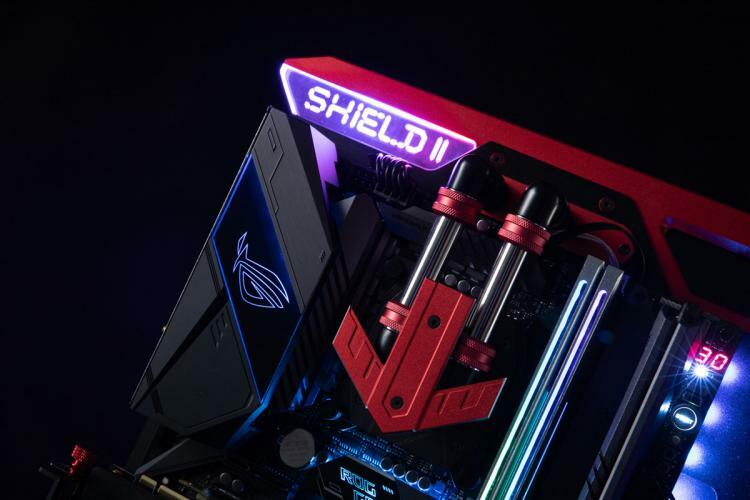 The ZADAK SHIELD II is packed with the latest generation components including the 9th generation Intel Core i7-9700K and NVIDIA GeForce RTX 2080 Ti graphics. It features the ZADAK SHIELD RGB DDR4 memory as well. The ZADAK SHIELD II can be mounted on a desktop or display it as a piece of art hanging on the wall. The SHIELD II is also portable with its top arc handle to make travel ease. ZADAK is proud to present the SHIELD II as the thinnest custom watercooled PC with the power of a full-sized computer. This makes it perfect to take to LAN events and fit into almost any environment. To reduce the risks of leakage and damage during transport, ZADAK uses its patented water distribution plate that minimizes damage to the custom watercooling system. The ZADAK water distribution plate drastically lowers the amount of tubing and fittings needed thus improving the overall durability of the watercooling system during transport. The water distribution plate is also a key factor that made the SHIELD II thin, efficient and portable. The ZADAK SHIELD II features the ASUS ROG MAXIMUS XI GENE motherboard which serves as a fantastic platform for the top end hardware. It is paired with the 9th generation Intel i7 9700K CPU, GeForce RTX 2080Ti graphics card, Samsung EVO NVME SSD and of course our ZADAK SHIELD RGB 3000MHz DDR4. A custom 360mm radiator designed specifically for the SHIELD II offers excellent heat dissipation and cooling performance built for the most demanding games and applications. The ZADAK SHIELD II is CNC milled out of solid aluminium which greatly helps with heat dissipation. The entire structure acts as a large heat sink. A digital display shows real-time water temperature which allows the users to monitor the status of the PC. The capacitive touchscreen strip allows users to power on/off the PC. It also features fully customisable RGB lighting that supports digital addressable RGB LEDs to create an infinite number of lighting effects. ZADAK plans to mass produce the SHIELD II to be made available worldwide, in Vietnam by late November, in Thailand by late December, and globally in early Q1 2019. No information on pricing as of this writing. Learn more about ZADAK here.